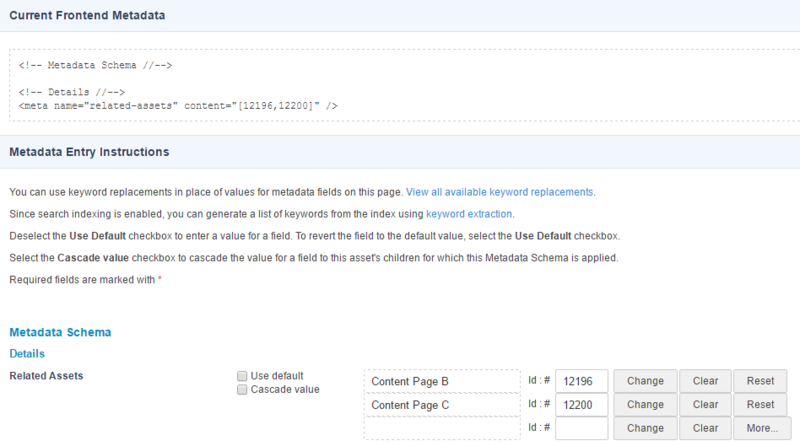 Start by creating a Metadata Schema with a Related Metadata Field in it. 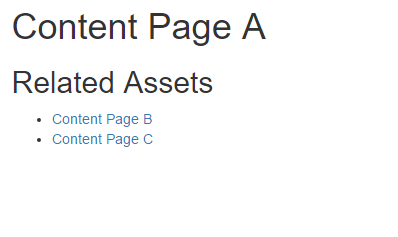 Let's call this field, "related-assets". Friendly Name: Set this to "Related Assets". This is optional, but it's a nice habit to always set this value so that the end user sees a nice field label when editing this value on the metadata screen. Restrict Asset Types: Set this to Page type assets and tick the Inherit option. Max Selections: Let's set this to 10. You can set it to something else if you want to, as long as it's larger than 2 so that the user can select multiple assets. Restrict Root Nodes: For the purposes of this tutorial, we can leave this empty. However, it's another good practice to always restrict the root node for these types of fields so that the user doesn't have the whole asset map to choose assets from. Next, create a Paint Layout that will be used to print the values of this field. Let's call it "Page Template". Go to the Edit Contents screen of the Type Format asset and make sure the Content Type is set to Raw HTML. We're also adding a keyword modifier to this keyword so that if the user hasn't selected any assets for this field, the value will simply be an empty array. That's it. We've created a simple listing mechanism in a Paint Layout using SSJS and without requiring an Asset Listing. Let's see the result of this implementation in action. Create a few Standard Pages that have both the Paint Layout and the Metadata Schema applied to them. 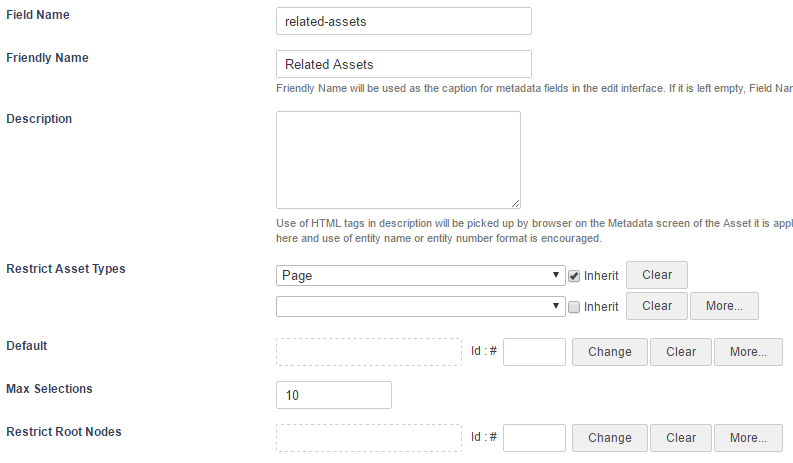 On one of the Standard Pages, edit the Related Assets Metadata Field to point to some of the other Standard Pages you created.